Yesterday the Denver Broncos beat the New England Patriots 20-18 for the AFC Championship and the right to play the Carolina Panthers in Super Bowl 50. Much was made of the match-up between their respective quarterbacks - Peyton Manning and Tom Brady. 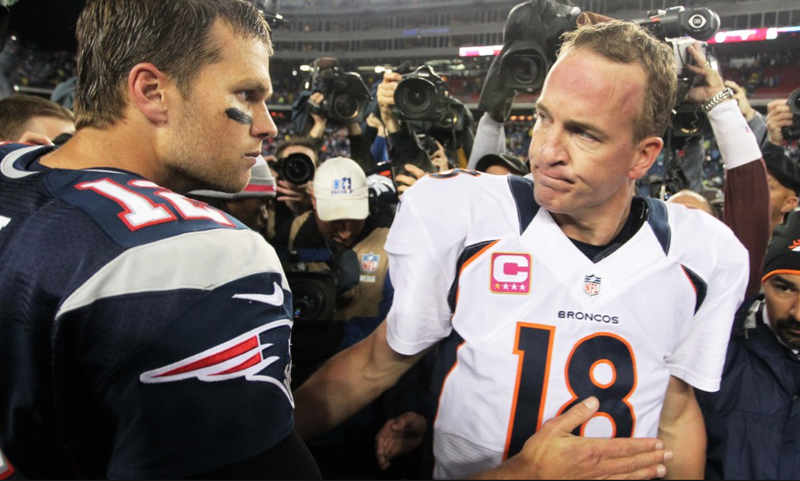 While Brady's Patriots has been victorious in the majority (11-6) in overall games vs. Manning - Peyton leads in wins when it comes to payoff games (3-2). These two images were captured after different games in different seasons. The picture above shows Manning (orange jersey) and Brady just after last night's game, while the photo below was from 12 October 2012 when the Patriots were victorious (31-21). In each of these post-game meetings, the losing quarterback is the first to turn away from the conversation. While the face and eyes lag, remaining partially turned toward the winner, the respective losing athlete rotates their bodies away. The loser is the first to disengage. 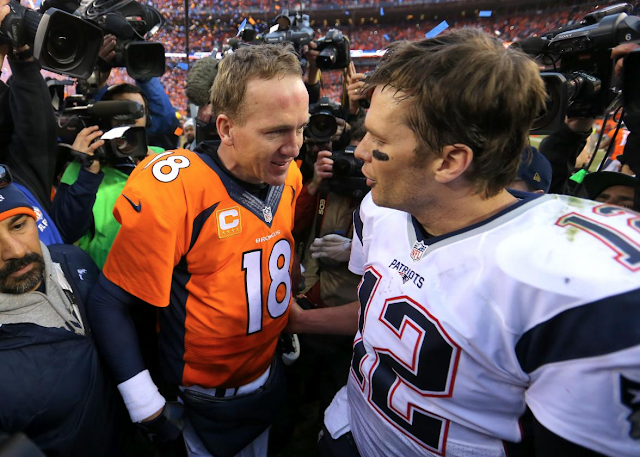 Thus while both of these men are high-alpha personalities, the contexts of these meetings are opposite - with Manning being the winner and therefore projecting his relative-alpha, whole-body pointing toward Brady (relatively beta) in the moment above - with the reverse occurring in the scenario below. If we could see the configuration of their legs, it's highly likely that in each of these situations the winning QB would have his feet more widely planted, while the loser's feet would be close together. Lower extremities are the first to acquiesce while the face and eyes linger.